While most who watch the virtual reality (VR) markets these days commonly do so with one eye fixed on Oculus and its still-upcoming Oculus Rift, and the other eye fixed on the “everybody else” part of the market, there's one product that slipped into the market quietly. Dlodlo’s simply-named Dlodlo VR Glasses represent a prospect that even the Rift might be hard-pressed to match. 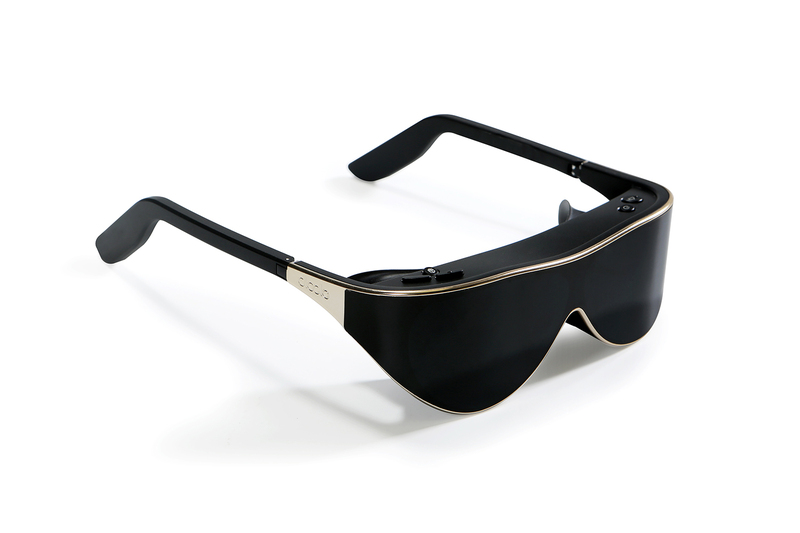 The Dlodlo VR Glasses may sound like some unknown attempt to skim impatient early adopters, but the specifications reveal some real power under the metaphorical hood. The glasses weigh just four ounces, reportedly a quarter of the weight of many competitors' systems. The glasses can also reportedly yield HD 2K+ resolution, which is a step up from even 1080p at 2048 x 1536 resolution. There's also a full 110 degree field of view, and the device works with all Bluetooth devices, since it turns to Android 4.4 for its operations. It uses a 120Hz refresh rate as well, which is often found on full-size televisions, to make for smoother images. Those concerned about many common issues of head-mounted displays can rest easy, as the system is said to not cause dizziness, distortion or lag, and even removes the “screen door effect”, a condition in which the fine lines that separate projected pixels become visible, much like a screen door's lattice. For those who wear corrective lenses, the VR Glasses can adjust distances between 58 and 70 millimeters, meaning that there's little need to wear glasses with this device. A microUSB connector is on hand, as are ports for stereo headphones, and the whole system is said to run on a 2000 mAh rechargeable battery. There's even a microphone built in with multi-language support, and the glasses come in a choice of three colors: ivory, champion gold, and black. Those interested in getting hands on these will be able to do so soon, as the units start shipping May 27 to a variety of vendors ranging from Amazon to eBay to Taobao.com and more. However, these also come with a very hefty price tag at $699 each. Just looking at the specs is enough to make the mind reel here; these are some positively staggering glasses, and given that these work with most any device around, the versatility alone is enough to make these worthwhile. Throw in stats that rival some televisions and the prospect is only more compelling. If the resolution and the smoothness of image is as high-quality as the specs suggest, this could be an Oculus Rift killer before the Rift even sees the light of day. And as the Oculus Rift launch date nears, we can hope to see more products of this nature, particularly with the Wearable Tech Expo coming up July 13 – 15 at the Jacob Javits Center in New York City. Only time will tell if the Dlodlo VR Glasses can take on the VR market and win, but based on what's known so far, these heavy-hitters have plenty of potential to do just that.